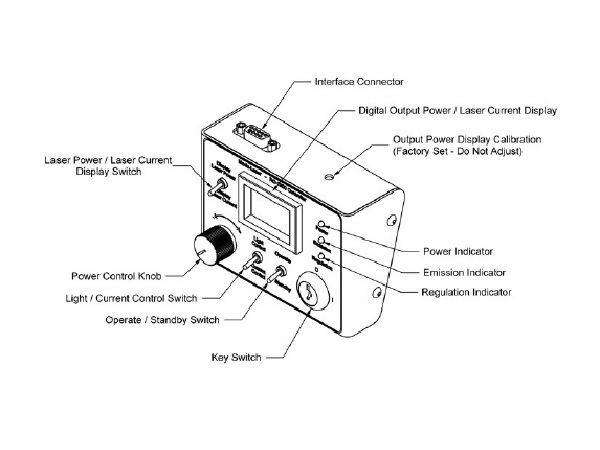 The RC-1300 Laser Controller is designed to interface with the LPS- 1300 Laser Power Supply to provide remote control of the laser head. 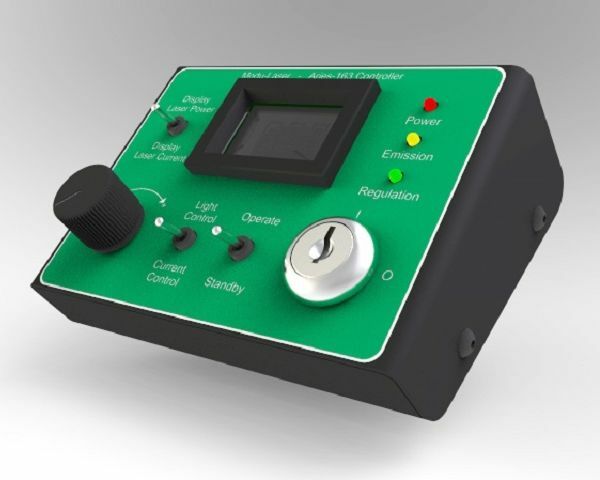 The RC-1300 incorporates a number of visual indicators (digital laser output power / tube current indicator, system power, emission and regulation indicator LEDs) which allow the user to verify laser status. The RC-1300 also provides manual user control of laser output power as well as the options to switch between “Light” or “Current” control. Connection of the RC-1300 to the LPS-1300 is achieved via a standard 9 pin D-subminiature (male to male) cable.